This outfit needs a pop of color, right? It does. But, I'm still pretty happy with it because all-neutral is a departure for me and all that. (I also have a red cardigan in my office! Please put the phone down, it will be okay.) 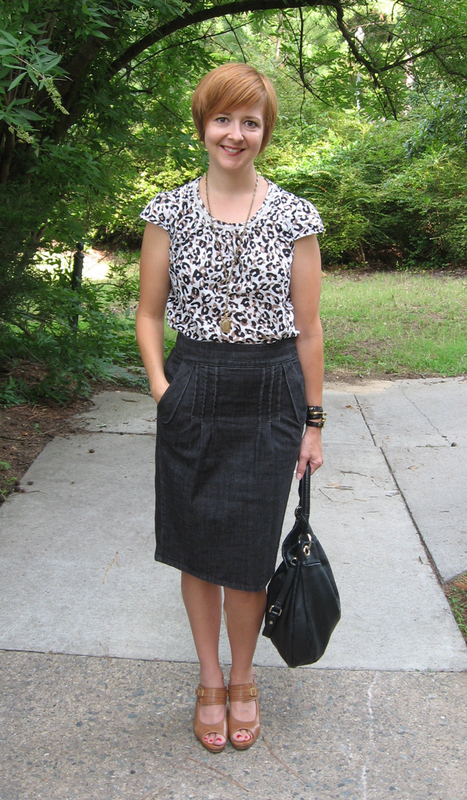 This skirt is one I bought last summer (worn here) and haven't worn much since then for no apparent reason. It's great! Hard to walk in, but very flattering with great details. Dang, this is so freaking cute. With the tan, neutrals look great. And I would not call your shirt *neutral*. Well, but the color scheme is - all tan/brown/black/white.